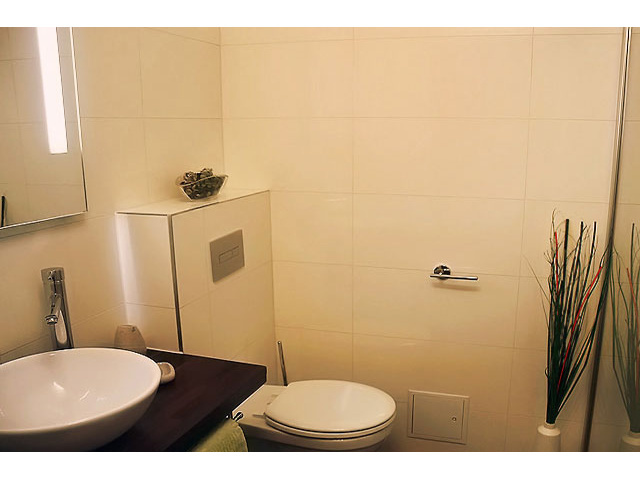 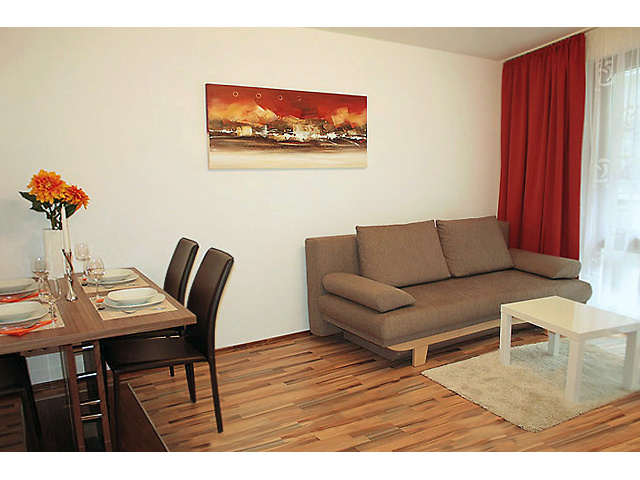 The 2-room-holiday Apartment TAVienna, which consists of entrance hall, living room with bed couch, bedroom with double bed, bathroom/ WC and loggia, offers fully furnished accommodations on the second floor including lift, for a maximum of 4 guests. 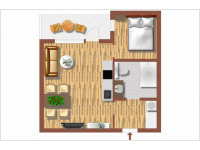 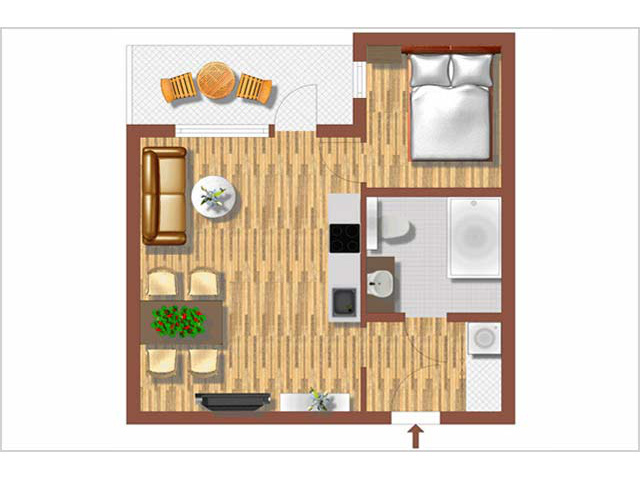 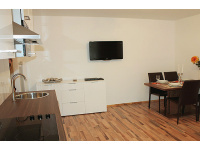 There is a fully furnished kitchen in the apartment including a microwave oven, dishwasher and refrigerator, wireless internet free of charge, flat screen HD/TV, DVD player,... which allow a fulfilling sojourn in one of the most beautiful cities of the world. 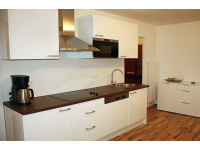 • Kitchen, dishwasher, coffee machine, iron, hair drier, silver ware, drinking glasses, etc. The staircase is wheel chair accessible by means of a ramp located at the stairs and the lift. 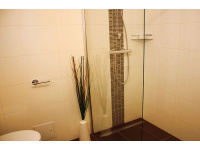 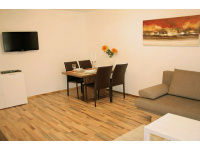 naturally centrally located in peaceful area. 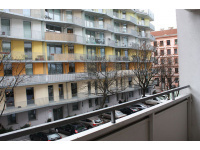 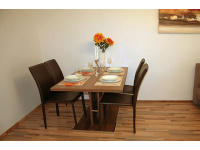 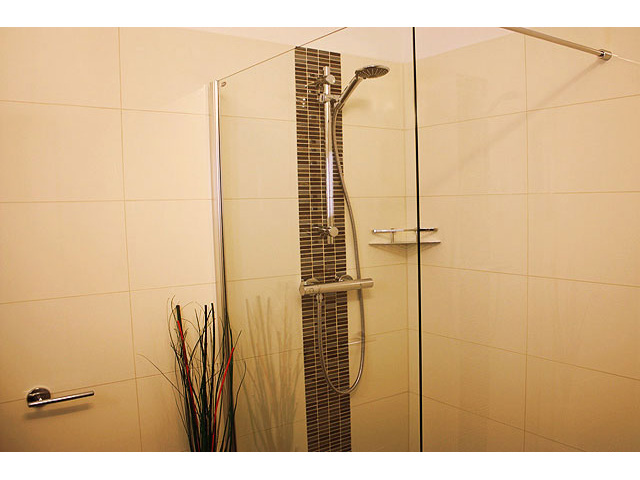 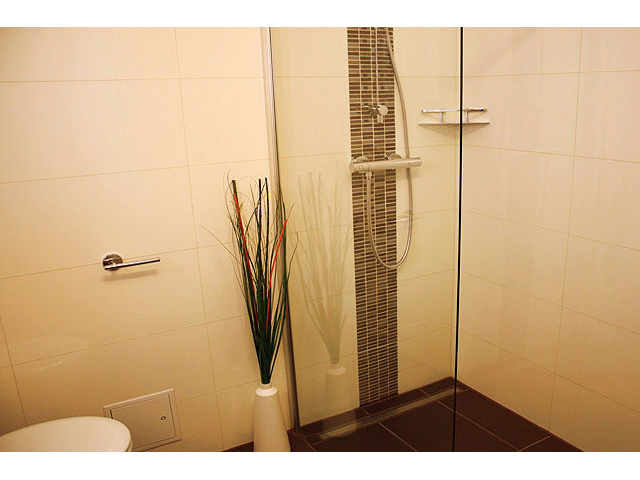 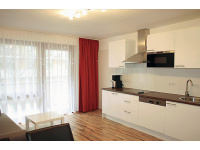 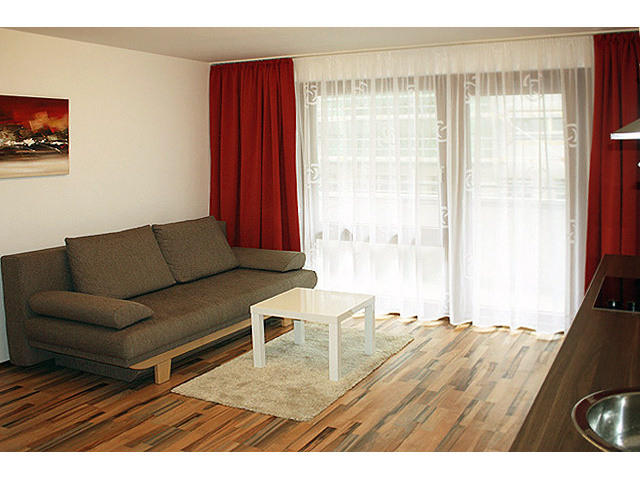 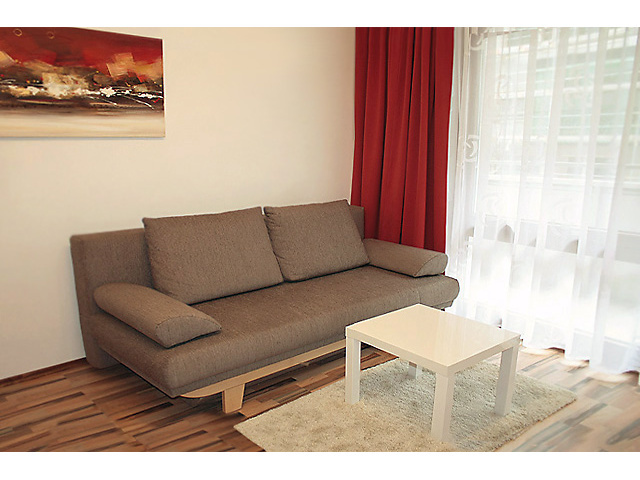 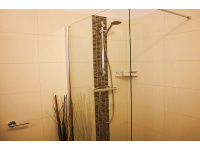 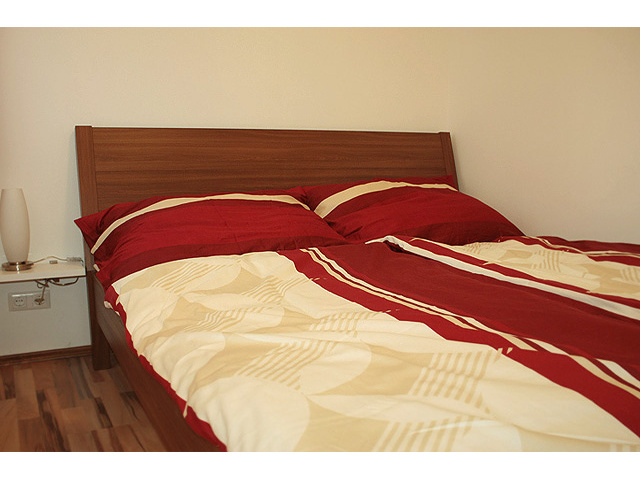 The elegant, furnished Apartment TAVienna was completely provided with the most modern and valuable furnishings. 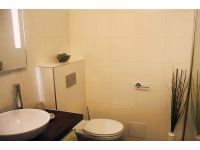 The setting is persuasive due to its quiet location. 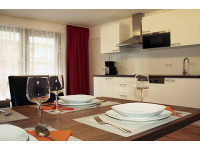 The loggia invites one to relax, a multitude of shopping opportunities are just around the corner and public transport facilities connected to destinations in all directions of the compass are located directly in front of the doorstep. 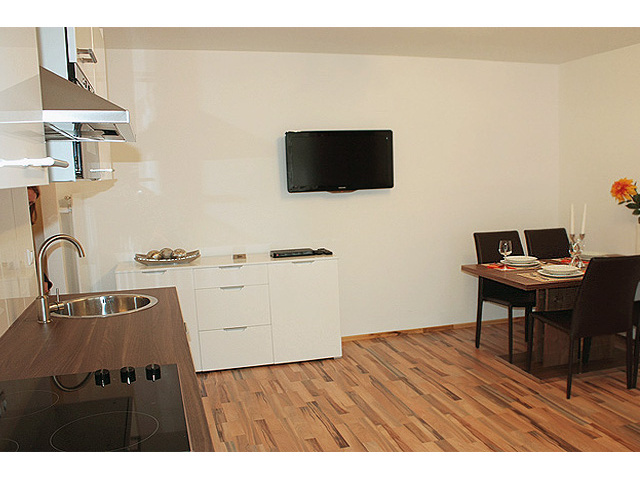 In a few minutes, the city centre, the Danube Island, the Viennese Prater, and a multitude of sights which Vienna has to offer can be reached.